Bob Harper investigates the history of one of BMW’s first concept cars of the modern age – the mid-engined Turbo – that featured many systems that we all now take for granted in our BMWs. Photography: BMW Group Archive. It’s funny the way the fortunes of car companies wax and wane; marques steeped in history are here one day, gone the next. Lancia was one of the poster boys of the Italian car industry when I was growing up – Stratos, Integrale, Fulvia – these were all cars I lusted after. Yet it now produces one model, the woeful Ypsilon, which is a Fiat 500 with a new set of clothes. Saab’s gone, and some of the big players are under huge pressure as I write. And such was the case for BMW back at the tail end of the 1950s. Before the second world war, the company had been on a steep climb, with cars like the 328 demonstrating the Bavarian manufacturer’s abilities on both road and track. But things took a turn for the worse after the war – its line-up of expensive, luxurious leviathans really didn’t appeal to cash-strapped buyers and, by the time BMW did introduce a couple of smaller, more appealingly-priced machines, such as the Isetta and the 700, the market had moved on again. BMW was staring into the abyss. Financially it was on its last legs and the vultures were circling. There was even the possibility of it being taken over by arch-rival, Daimler-Benz, which was keen on making use of BMW’s production facilities to manufacture its trucks. At the eleventh hour, though, Herbert Quandt stepped in, raising his stake in the company to 50%, and giving it the lifeline it needed. The Neue Klasse 1500 saloon was launched in 1962 and it was a huge success. The company was saved and, with new-found optimism, it would forge ahead over the coming decades. As if to demonstrate how forward-looking BMW had become, it had a number of machines up its corporate sleeve to coincide with the spotlight falling on Munich for the 1972 Olympic Games, along with its all-new, four-cylinder headquarters just across the road from the Olympic Park. The new 5 Series E12 was launched in 1972 – the first of BMW’s now famous ‘Series’ cars – and there was also the electric 2002 E10 that acted as the course car for the marathon, with just enough range to complete the 26-mile route. 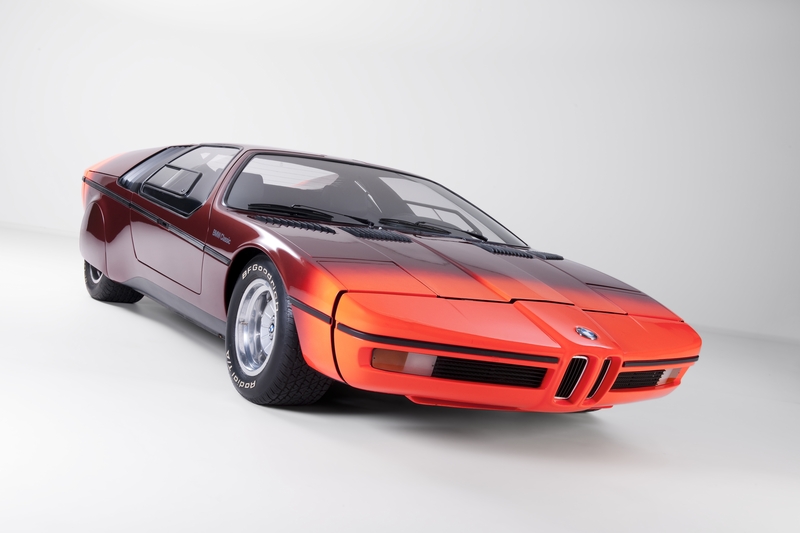 But the most outlandish of BMW’s 1972 creations was reserved for the Paris Motor Show, where the Turbo concept car made its debut. 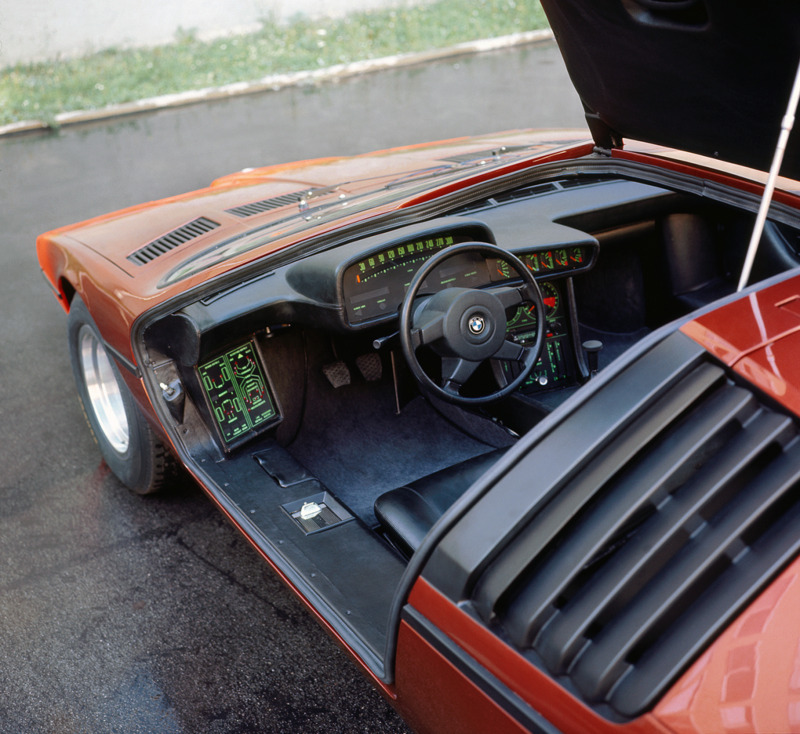 Mid-engined machines were all the rage in the late 1960s – Lamborghini had shown the world how to make a supercar using this configuration with its Miura – and motor shows were littered with mid-engined concept cars for years after. 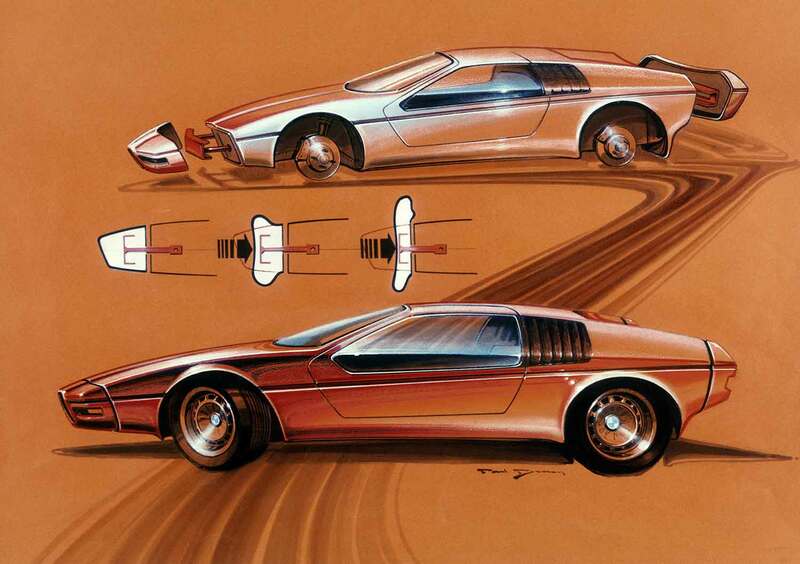 Mercedes had been experimenting with its C111 machinery, and wedgeshaped concepts from companies such as Bertone with its Alfa Romeo Carabo, hinted at the brave new world ahead of us. BMW very much wanted to be part of this new, modern era, hence the Turbo was born. Despite its racy moniker, the car wasn’t all about speed; the Turbo was designed very much with safety in mind, too. This aspect was becoming increasingly important in the 1970s, driven, in part, by the American market and its monstrous impact bumpers. There was even the prospect of a ban on convertible cars without adequate roll-over protection. So, part of the Turbo’s remit was to prove that safety didn’t have to mean ugly. This very rare design sketch illustrates how the hydraulically-assisted, foam-filled bumpers were designed to deform under impact. The Turbo’s commitment to safety was illustrated by characteristics such as its all-round visibility (the idea was to try and eliminate blind spots), its well-balanced axle load and a paint scheme that exuded the safety mantra – no one was going to miss spotting the Turbo on the road. At its heart was a turbocharged M10 engine – a precursor to that fitted to the 2002 Turbo road car that made its debut at the Frankfurt show in 1973. 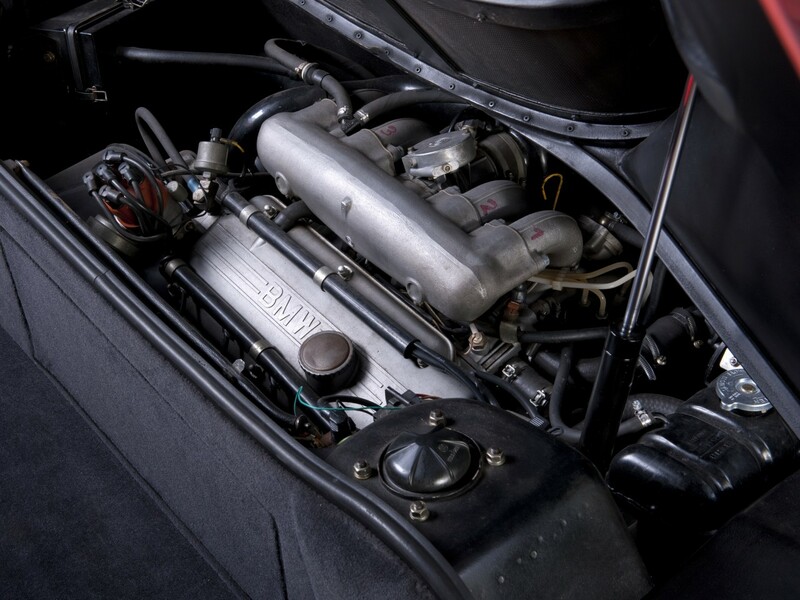 BMW had a wealth of turbocharger knowledge dating back to its aero engine production during the war and, during the latter part of the 1960s, turbocharged engines were used in ‘02 competition cars. 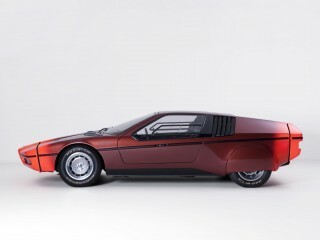 It was a good way of extracting additional power from existing engines, and the two-litre version of the M10 in the Turbo concept car developed between 200 and 280hp, depending on how far the boost was turned up. 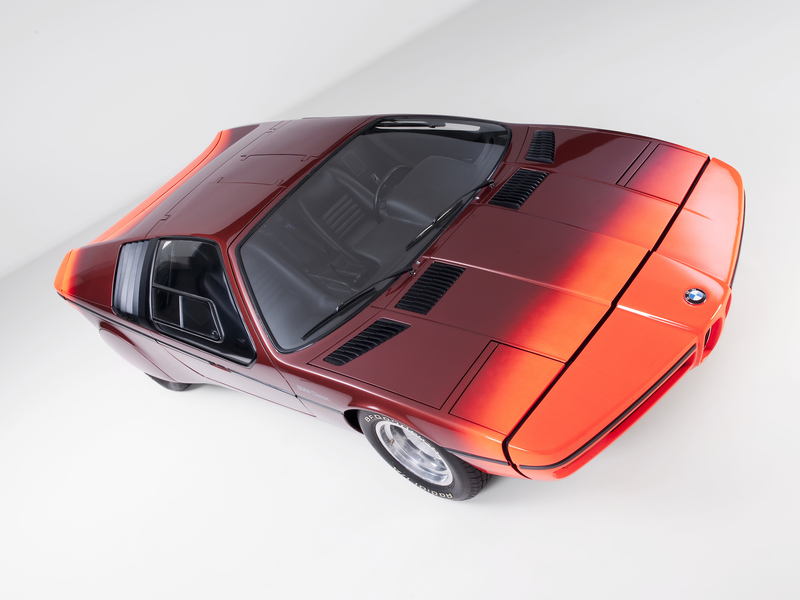 At the time, BMW quoted performance stats of a 6.6-second 0-62mph time and a top speed of 155mph – impressive stuff in the early 1970s, especially with a 2.0-litre engine capacity. The car’s performance was no doubt aided by its light weight; it tipped the scales at just 980kg. In its mid-engined configuration, the engine was mounted to a subframe and fixed to the car’s floorpan with four, large rubber mounts designed to prevent vibrations from the engine entering the cockpit. The engine’s subframe also supported the rear axle, that was a McPherson strut set-up. The press release when the car was launched described it as follows: “The McPherson strut rear axle works with trailing and transverse links. Fitted in addition to the transverse link, a trapezoidal rod with ball joints controls the rear-axle kinematics.” The idea was that the double wishbone arrangement would help to prevent the inevitable self-steering effect of the rear axle, which could be one of the results of a mid-engined configuration. While you’d expect decent performance and road manners from a state-of-theart, mid-engined supercar, it was the Turbo’s safety equipment and its dramatic styling and gullwing doors, that it became most known for. Its fantasy looks actually featured one of the Turbo’s main pieces of safety equipment – its deformable bumpers. At the time, US-spec cars were forced to wear huge impact bumpers, and looked incredibly ungainly. But Bracq’s solution was far more elegant, with the Turbo utilising deformable, foam-filled plastic elements that could withstand small-scale impacts, and would return to their original shape. Behind the shapely bumpers were hydraulic dampers to absorb impacts – technology that first appeared in production in 1986, on the E32 7 Series. 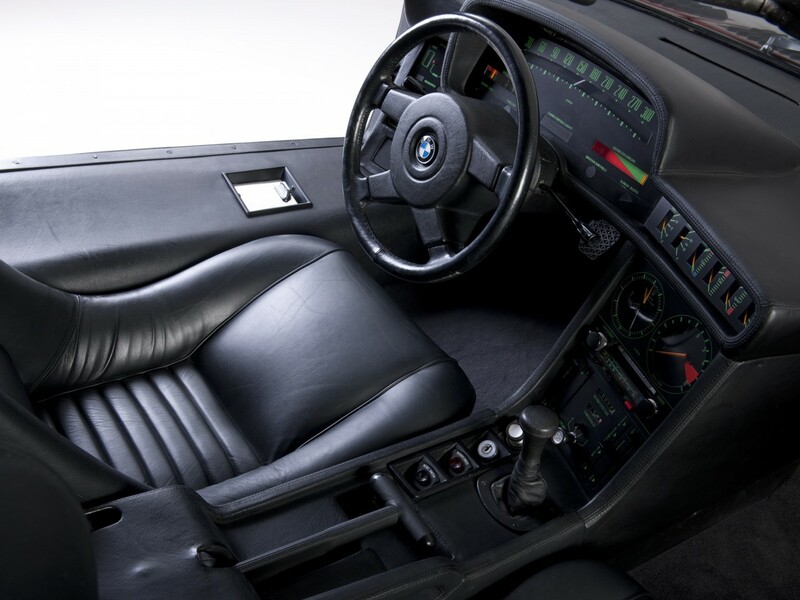 While other features of the car included safety-related equipment – a rollover bar was incorporated into the roof structure, for example – it was in the Turbo’s cockpit that BMW really went to town. 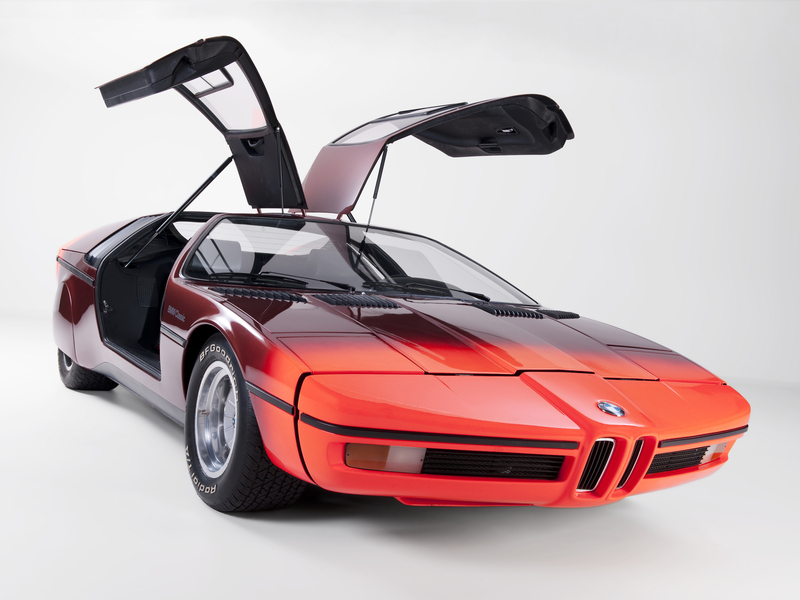 Many of the elements first seen on the concept would later become part of series production BMWs. Part of the car’s safety brief was to try and get rid of all hard surfaces inside, with all interior components being padded with foam; a design approached that was incorporated into series production models from the mid-1970s onwards. What’s more, if you’ve ever wondered where BMW’s driver-centric cockpit came from, you only need to take a gander inside the Turbo. Admittedly the concept’s dash layout looks slightly more reminiscent of a jet aircraft – there were gauges for absolutely everything, including lateral G! – but its overall design saw the centre console angled towards the driver. This feature, of course, was to become classic BMW fare in the 1970s, 1980s and 1990s, but was first seen in the E21 3 Series, that went on sale in 1975. At the beginning of the 1970s, the use of seat belts was just starting to gain traction. But those opposed to their use pointed to the fact that reaching some of a car’s controls on the centre console could be difficult while wearing a correctly-adjusted seat belt. 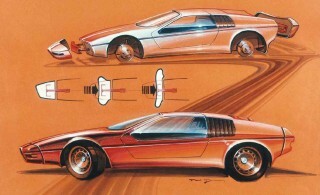 Thus, BMW brought the controls towards the driver, while also adopting the new inertia reel-type design for the Turbo. Incidentally, an interesting safety feature included to ensure that drivers buckled-up before a journey started, was an inhibitor switch in the seat belt buckles. Its presence meant that, if the buckles weren’t engaged, the Turbo’s engine wouldn’t start. Another interior feature you might have spied in the photographs here is what was, at the time, described as the ‘Secondary Display 2’ – what would later be known as check control. To the left of the steering wheel were schematics of some of the car’s systems – lights and brakes for example – and these were accompanied by a set of warning lights to alert the driver to any malfunction. This, of course, became BMW’s check control system that made its debut on a production car when the E24 6 Series was launched in 1976, and has been an integral part of virtually every BMW since then. Other safety systems also made their BMW debut on the Turbo – the most important of which was its ABS system. It would be a few years before this made it to series production – featuring as an option on the E23 7 Series in 1978 – but it was the adoption of ABS that then allowed BMW to incorporate ASC, DSC and DTC traction control systems in its more modern machinery. Another first, as far as BMW was concerned, was the Turbo’s radar-controlled distance warning device and, while this system never made it into production, you could call it the greatgrandfather of today’s Active Cruise Control; first offered as an option on the E38 7 Series, in 2002. In the Turbo there was a display in the dash pod that was designed to show the distance – between 0 and 100 metres – to the car in front. Depending on the car’s speed, a warning buzzer would sound when the gap to the car in front became too short, and the car’s acceleration rate would be curtailed. 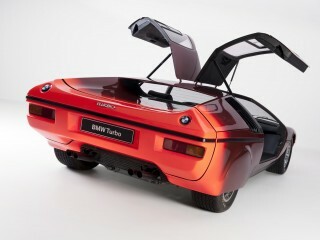 The Turbo was also used as a source of inspiration for the BMW M1 E26 supercar. While the original Turbo was doing the rounds of the motor shows, BMW commissioned Michelotti to build a second example late in 1972. This was used for extensive testing, including wind tunnel work, to ensure the slippery shape was also aerodynamically efficient. The car was further developed at BMW’s Aschheim test track, where dynamic tests helped BMW to understand and hone the handling of a mid-engined machine. The company also learned a lot about the cooling requirements of a mid-mounted engine, which would pay dividends with the E26 M1 project. The two Turbos then went on something of a world tour, being exhibited at motor shows and museums around the world and, today, one of the pair is on static display at the BMW museum. The second car is occasionally wheeled out for press and PR roles, such as the three-car photoshoot with the original M1 and the (E26-DESIGN ) M1 ‘Hommage’, as well as classic events such as the Concorso d’Eleganza at the Villa d’Este. There’s no doubt that the Turbo had a huge impact on a whole host of BMWs over the years, and was an inspirational concept car at a time when the company really was going from strength to strength. 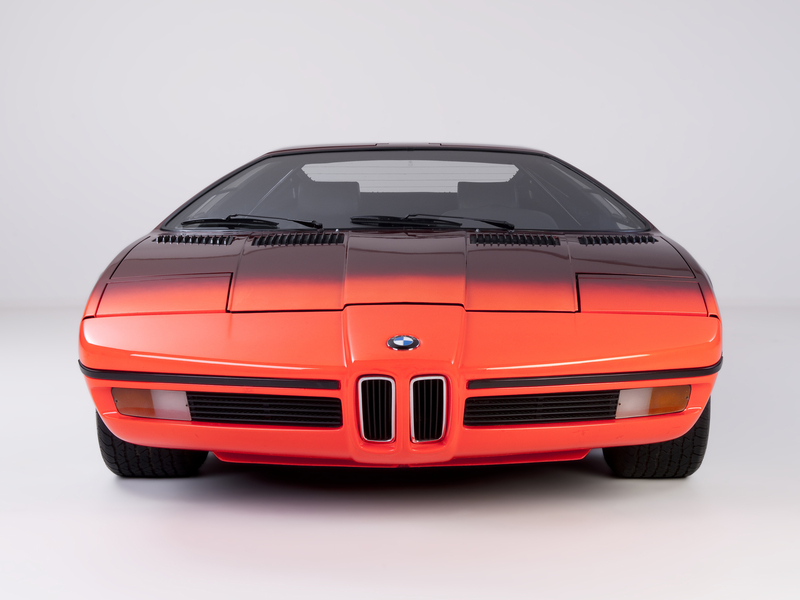 The father of the BMW M1 E26, the grandfather of the i8 and its DNA flows through generations of BMWs. It was one of the machines that put BMW back at the top of the automotive tree – quite an achievement when you consider that just over 10 years before its presentation, BMW had nearly gone to the wall. Now, how about building another one – with a nice big M engine in the middle – and putting it into production? There’s no doubt that the Turbo had a huge impact on a whole host of BMWs over the years. 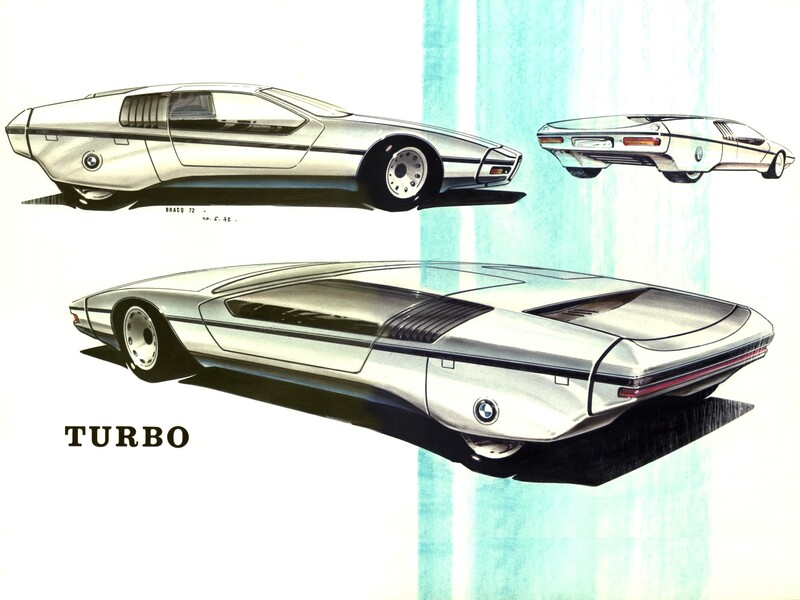 BMW’s all-new, four-cylinder headquarters provided a fittingly futuristic backdrop for the Turbo concept, in 1972. The Turbo’s dramatic styling included gullwing doors. It was in the Turbo’s cockpit that BMW really went to town. It was reminiscent of a jet aircraft and there were gauges for absolutely everything, including lateral G! 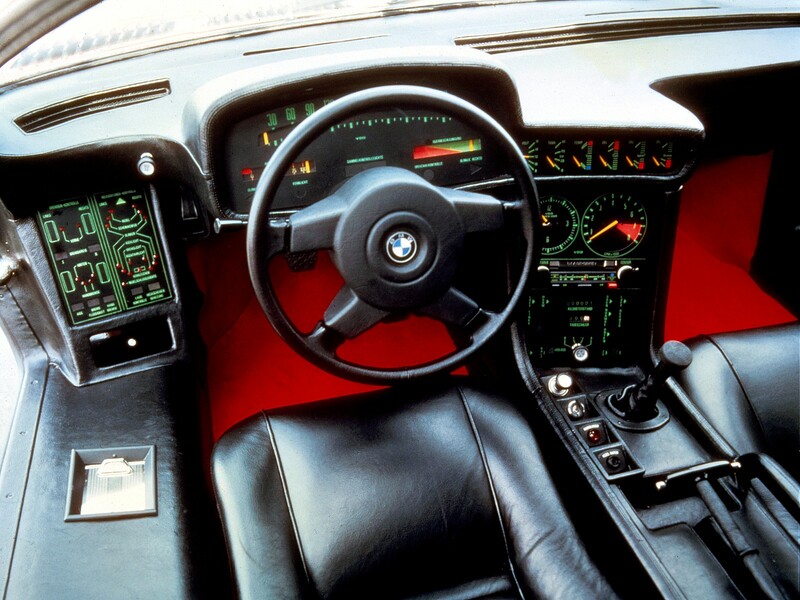 • This was the first model to benefit from BMW’s now trademark, driver-centric cockpit. 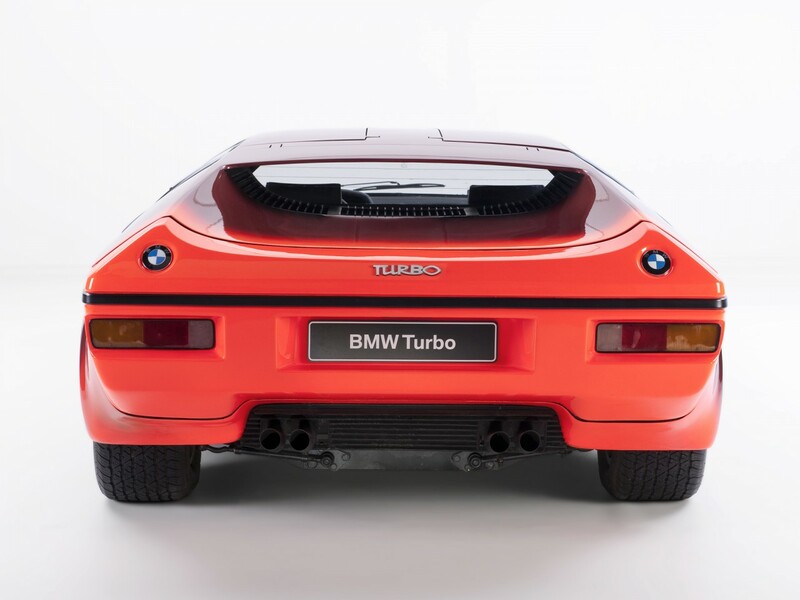 The Turbo’s two-litre version of the M10 engine produced between 200 and 280hp, depending on the boost setting, and BMW quoted performance stats of a 6.6-second 0-62mph time and a top speed of 155mph • Pop-up headlights were also part of the Turbo package, together with neatly-styled, deformable bumpers.